Come in from the cold and enjoy an evening with your neighbours! Please see the message below from Jeff Moore, the new Club Manager at the Carleton Golf and Yacht Club regarding responsible and safe use of the golf course during the winter months. Firstly, I would like to wish you all a wonderful and prosperous 2019. Happy New Year to you all! My name is Jeff Moore and I am the new Club Manager at Carleton Golf and Yacht Club. Joel Trickey remains our expert Superintendent and valued senior staff member, who’s experience I am relying on daily. I am also a homeowner in the community and greatly value the relationship between club members/staff and our community. I would like nothing better than to continue to build the bond between the homeowners and the club – we both offer considerable benefit to each other and I believe we have a lot to gain by working together. 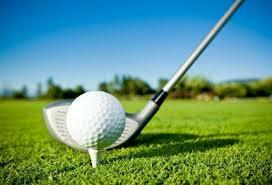 To that end, we are pleased that many of you are enjoying the golf course in the off-season; whether it be cross country skiing, walking your dogs or just out getting some fresh air. One item that has been brought to our attention is the danger associated with skating on any of the various ponds on the golf course. Our weather has been very erratic to say to least, so please be careful in checking the ice conditions to make sure you are not pushing your luck on dangerous thin ice! Most of the ponds have active pumps working, even during the winter months, so there are currents in the ponds that can make certain areas thin, weak and dangerous! Carleton Golf and Yacht Club is a private club and thus the property is also private – just like your own property. When out on the course, please be respectful of other homeowners as well as the course itself. Please stay off of the greens and tee boxes and as previously mentioned, be aware of the dangers of going on any of the frozen ponds. Carleton Golf and Yacht Club recommends staying off of all frozen ponds for your safety and while we have no issues with your responsible enjoyment of the land, you do so at your own risk. Please feel free to drop by the club to say hi. If you are unfamiliar with the club it would be our pleasure to show you around! TAI CHI is an ancient Chinese meditative exercise for the body and mind consisting of a series of postures and movements in a graceful manner. It strengthens the immune system, improves balance, flexibility, focus, coordination and memory, and builds confidence, self-esteem, greater awareness, calmness and an overall sense of well-being. TAI CHI is open to everyone. It is especially beneficial to people who want to balance their life style, relax, calm down and reduce stress, become healthier and happier, and think and act positively. CGYHA is hosting another PUB NIGHT on Friday October 19 , 2018 at the Carleton Golf & Yacht Clubhouse. Bring some friends and visit with neighbours! This event starts at 7:00pm. Light bar snacks will be served until they run out and a cash bar service is also available. In addition, there will be live music provided by South Bound Boots (band starts at 8:30)! Dancing is encouraged! Brent Cartwright from the Ottawa Senators and Canadian Tire Centre Group Sales department is offering our community group rates on tickets to Ottawa Senators games for the 2018 – 2019 season. Click on the link in the offer below, it will show you the schedule along with the pricing associated with each game. Extra features to enhance the overall experience are also available depending on the size of the group e.g. a bus to and from the game. NOTE: The CGYHA executive committee is sharing this information but is not involved in organizing groups. If you would like more information, please contact Brent Cartwright at the email or phone number below. Group tickets available as of Thursday, July 19 for the 2018-19 season! Get your group of nine or more together -and take advantage of special group pricing for a Sens game! Packages are tailored for minor hockey teams, student programs, corporate team outings, and more. Premium Suites are also available. Please contact me for additional details. For more information on game availability, contact Brent by email at cartwrightb@ottawasenators.com or phone at 613-599-0309. Remember to book early for the best pricing and seats. Early bird pricing subject to change after Sept. 5. All pricing also subject to change without notice. *A non-refundable deposit of 25% of your total game spend. Final payment is due 1 month before the game date. Les billets de groupe sont disponibles en date du jeudi 19 juillet pour la saison 2018-2019! Rassemblez votre groupe de neuf personnes ou plus et profitez des tarifs exceptionnels pour les groupes afin d’assister à un match des Sénateurs! Des forfaits sont spécialement adaptés pour les équipes de hockey mineur, les programmes pour étudiants, les événements d’affaires et plus. Des loges privilèges sont également disponibles. Communiquez avec moi pour de plus amples renseignements. Pour plus de renseignements sur les disponibilités des matchs, communiquez avec Brent par courriel au cartwrightb@ottawasenators.com ou en composant le 613-599-0309. N’oubliez pas de réserver tôt afin de profiter des meilleurs prix et des meilleurs sièges. Les tarifs privilèges sont sous réserve de modifications après le 5 septembre. Tous les tarifs sont aussi sous réserve de modifications sans préavis. *Un dépôt non-remboursable de 25 % du montant total de votre match. Le dernier versement est exigible un mois avant la date du match.